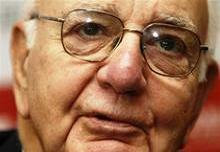 Investment banks are using quickie stock sales to toy with the spirit of the Volcker Rule. Wall Street sold some $23 billion of equity block trades for public companies in the first half of the year, according to Thomson Reuters data. That’s almost as much as initial public offerings have raised. These deals are a handy tool for corporations. But at times investment banks blur the line between capital-raising and banned proprietary trading. Equity block trades are straightforward in theory. They allow a company to sell stock without waiting to arrange a secondary offering that could consume a week or more of investor pitches. All that’s involved is inviting a few investment banks to submit their bids for the shares. One firm usually gets the business, buying the chunk of stock off the company before selling it in the market. The whole process should only take a matter of hours. The company receives its capital, the bank earns the difference between what it paid for the shares and what it sold them for – and investors own more of a company they like. The risk is that the middleman can misjudge demand, a real possibility when there are only a few minutes to bid. There’s also pressure to increase capital-markets revenue as trading businesses disappoint, to improve league-table rankings and to impress the private equity firms that account for more than half the sellers in this year’s block trades. Those factors get competitive juices flowing and may lead banks to cut fees – and corners. A botched transaction can mean banks have to sell the shares at a discount or even keep them. Some banks may decide that these risks are outweighed by the deal’s potential benefits, which may include making a profit from selling the stake over a period of days or weeks. That’s where things get dicey. What started out as a capital-raising deal suddenly looks like a move to take a trading position with the bank’s own capital. Making a mistake is one thing. But under the Volcker Rule, willingly taking a punt is a no-no worthy of regulatory scrutiny. Block trades in the United States raised $22.66 billion of equity capital for 77 companies in the first half of the year, according to Thomson Reuters data. They accounted for 26 percent of all U.S. secondary equity offerings.